What is Warm Edge Double Glazing Technology? Up to 80% of a double glazed window’s energy loss occurs at the edge of the glass due to the aluminium spacer. Using a Warm Edge Spacer in your double glazed window can make the temperature at the edge of the glass up to 65% warmer! Higher Window Energy Ratings can be achieved with a Warm Edge Spacer used in conjunction with coated glasses in your double glazed window. The Super Spacer product is over 900 times less conductive than an aluminium spacer. Made from a closed polymer foam, the Super Spacer actually absorbs sound and reduce noise by up to 2DB. In accelerated testing our Super Spacer has been shown to last twice as long as normal double glazing dual seal systems and five times longer than single seal systems. The foam can expand and contract much better than the rigid metal systems still used in many double glazing systems – a major cause of stress fractures in conventional sealed units. 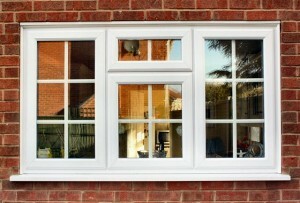 Most double glazed windows now incorporate low line glazing beads and gaskets. A standard aluminium spacer protrudes into the sightline of the window. The Super Spacer has a lower sightline, eliminating this problem. Super Spacer also reflects back the colour of the double glazed window frame, so if it is glazed into a white frame, the spacer reflects back white. Up to 70% reduction in condensation in a double glazed window unit is achievable with Super Spacer. Super Spacer is the highest performing spacer system for thermal efficiency in double glazing. In a recent Government funded project carried out by the Glass and Glazing Federation (GGF), a host of simulations and hot box testing were undertaken. The tests were designed to determine the effect of different warm edge products on the overall U-Values of different types of windows and glazing configurations. In all cases Super Spacer came out on top. A copy of the full report can be obtained via the GGF website.